It is not uncommon for teens to underestimate the gravity and impact of binge drinking on their overall health. Studies have suggested that this dangerous pattern of drinking has become more prominent in recent decades than it ever has before, becoming a growing concern for parents and educators alike. 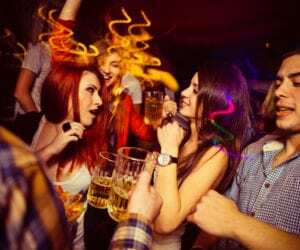 What may seem to be an innocent act of having a good time with friends can actually have long-lasting and a permanent impact on a psychological level. Since teens are still developing, the presences of substances of abuse during their development can hinder the natural course of evolution. Unfortunately, binge drinking has been introduced to underage teens and is lasting all throughout their college and postgraduate study years. There are detrimental side effects, both on a mental and performance basis, that come with years of intense and compulsive alcohol consumption. Not only does the over-consumption of alcohol take a serious toll on your physical life, but it also has destructive mental health and psychological repercussions. Alcohol abuse is a chronic illness and while teens may not realize the extent of the damage they are doing to their bodies at a young age, it is when they are older that they understand the consequences of their actions. Not only does drinking cause health consequences, but it will also take a major toll on relationships with your family, friends, and significant other. Alcoholism or alcohol use disorder (AUD) will undoubtedly affect and ruin your personal relationships as alcohol disorders are chronic in nature and will control every aspect of your life. This effect is exacerbated when an individual begins drinking at a young and impressional stage of life. When an individual drinks alcohol to excess, they are unable to make rash and sound decisions. This can land them in a very scary situation such as getting behind the wheel when they are inebriated. Drinking can also lead to irresponsible behavior which can cause aggression, impulses, and victimization. If you are a parent of a teen who you believe is on a destructive path due to their alcohol abuse, help and treatment are available. It’s important to take control of this habit early-on in order to lessen the likelihood of it worsening. With the proper treatment in place, individuals will be able to get their drinking under control which will allow them to live more productive lives.